Malians vote on 28 July in the first ever polls since a military coup and an insurgency 16 months ago, but complaints of missing voting cards and worries that the elections are rushed have marred the run-up to the ballot. "Mali has suffered political and military instability these past months," said Aboubacar Hamidine, a refugee in neighbouring Niger. "I am going to vote to end this instability." 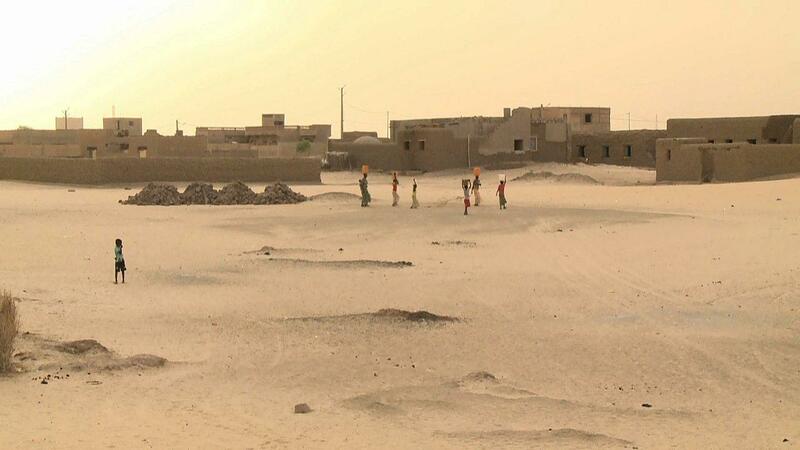 Forty-year old Hamadikane Maiga, who was also forced to seek refuge in Niger told IRIN: "We hope that these presidential elections will bring lasting peace to our country. This will usher a new era in Mali." According to Mariam Sangaré, a teacher in the Malian capital, Bamako, "the top priority for the new president must be the reconciliation between all Malians, because we are divided, south versus north and vice-versa." Bamako shopkeeper Oumar Oulk Mammouny stressed the economy must come first. "The economy is in pieces. Everything has stopped... The new president has to give us confidence that we'll be able to eat three times a day." Malian authorities have made plans for refugees in next-door Burkina Faso, Mauritania and Niger to take part in the election. However, only 19,000 registered to vote out of 73,000 refugees of voting age, said the UN Refugee Agency (UNHCR), which is helping with voting in the camps. The delay in issuing voter cards has affected many within Mali as well. France, which sent troops in January to beat back Islamist militants who threatened to march into Bamako from Mali's north, has pressed for the vote to be held. Observers have raised concern over the timing of the elections, arguing that while they are important in helping Mali back on its feet, their credibility was equally critical. A UN peacekeeping force is currently rolling out in Mali, taking up from African troops who have been in the country for some months, but have largely been outside the combat scene. Tiébilé Dramé, a former minister and chief negotiator between Mali's interim government and Tuareg rebels, termed the elections preparations "disastrous". He recently withdrew from the presidential race after his attempt to have the courts move the election date was rejected. "Organizing elections without the full participation of the population in the [northern] region of Kidal, and possibly Gao and Timbuktu will only deepen the divide between the north and the south and possibly lead to new rebellions," he said. "What other country would accept an imperfect vote. If this is only to have an elected government in Bamako, why not wait two, three months until the situation has stabilized," said Ousmane Maiga, who was displaced from his home in Mali's northern Gao Region and is now living in Bamako. Disgruntled troops overthrew then president Amadu Toumani Touré in March 2012 on charges that his government had failed to tackle a Tuareg rebellion in the north. The coup, however, eased the way for the Tuaregs to seize swathes of territory before being ousted by Islamist rebels, some linked to Al-Qaeda, who imposed strict Islamic law during their occupation of the northern half of the country. In Mauritania and Burkina Faso only about 5 percent of the refugees had received voting cards. “We made lists of all refugees who are eligible to vote and sent them to Bamako. Out of 4,161 names on our list, the authorities could only identify 932 people," said UNHCR's Charlotte Arnaud. "We were registered in Bamako in 2010 and I should be having my card, but I don't," said Ousmane Ag Dalla, the head of Tuareg refugees in Burkina Faso. "Things have been rushed and people are not ready. "Mali is not ready to hold proper elections, but it's better to do it because we will never be ready as there are so many problems. We from the north are hoping to have a president so that the underlying problems can be tackled by a legitimate president," he said.